John is well known in the computer world. “He was the king of the nerds,” says Allan Lundell, who runs an independent film company and has chronicled the evolution of Silicon Valley. John developed one of the first word-processing programs as well as the technology that made possible voice-activated telephone menus. He learned how to make free calls by imitating the tones used by the phone company. He learned from other “phone phreaks” — as the hackers called themselves — including blind teenagers with near-perfect pitch. They showed him that a toy whistle found in a cereal box would also imitate the required tones, earning him the nickname Cap’n Crunch. Co-host Oliver Soehlke collects vintage computer and created the page www.myoldmac.net in 2003. John and Oliver organize this very first “CaptainCrunch ComeTogether GeekFest” in Berlin. Daniel stated in an interview with KQED/PBS that both he and Jobs’ sister Patty (who was also assembling boards while watching TV) were the first part-time employees of Apple, while Bill Fernandez was the first full-time employee. In 1977, after graduating from Columbia, Daniel joined Apple as full-time employee #12. It was at that time that Jobs, Kottke, and Jobs’ girlfriend Chrisann Brennan shared a house near the Apple office in Cupertino. He spent an additional eight years with Apple debugging Apple II printed circuit boards and building Apple III and Macintosh prototypes as well as working on the design for the Macintosh keyboard. The Apple II gained a sizable amount of popularity, eventually becoming one of the best selling personal computers of the 1970s and early 1980s. Daniel was also one of the original members of the Macintosh development team and his signature can be found embossed on the internal wall of early production Macintosh computers. Listen to the Apple Com. Inc – TWX Hacking – NASA – Smart Homes Panel. Andy purchased an Apple II in January 1978, which quickly took over his life, leading him to start working at Apple in August 1979. He joined the nascent Macintosh team in February 1981, and became one of the main authors of the original Macintosh system software, including the User Interface Toolbox and many of the original desk accessories. He left Apple in March 1984, and went on to co-found three companies: Radius (1986), General Magic (1990) and Eazel (1999). In 2003, he developed a web-based system for collective storytelling http://www.folklore.org, and used it to write anecdotes about the development of the Mac, which were collected in the book “Revolution in the Valley”, published in December 2004. In August 2005, he joined Google and worked there until he retired in 2013. 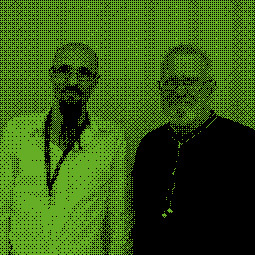 Listen to the Apple ][ and Macintosh Developers Panel. Randy’s obsession with computers began before the majority of Square’s were even born – way back in 1974. Since computers were tough to come by in the 70’s, Randy joined the Silicon Valley-based Homebrew Computer Club – an informal group to learn more about computers, share tips and trade electronic parts. At age 15, young Randy wasn’t yet old enough to drive himself to the Homebrew meetings and another member of the group, Steve Wozniak offered him a lift. 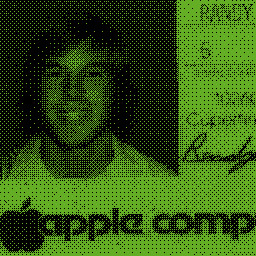 In 1977, at the urging of his carpool buddy, Randy joined a new company called Apple Computer as their first software engineer and employee #6. While at Apple, Randy wrote MacWrite, the world’s first WYSIWYG word processor, for the launch of the Macintosh in 1984. Randy’s career spans many of Silicon Valley’s most notable companies such as E*TRADE, Ebay, Google and Square. Lee is recognized as a pioneer in both the design of early personal computers and in the formation of the personal computer industry from a hobbyist pastime. The legendary Homebrew Computer Club (1975-86) of Silicon Valley was instrumental in the formation of 23 of the original personal computer companies, largely due to the open meeting process developed by Mr. Felsenstein. He designed the first complete personal computer incorporating video display, and the first commercially successful portable computer. Mr. Felsenstein has operated his own electronics design company and spent 8 years working for Interval Research Corporation. He is a Laureate of the Tech Museum of Innovation for his work on sustainable information and communication systems for the developing world, and has been awarded the Pioneer of the Electronic Frontier award of the Electronic Frontier Foundation. He received his Bachelor´s degree in Electrical Engineering in 1972 from the University of California at Berkeley. 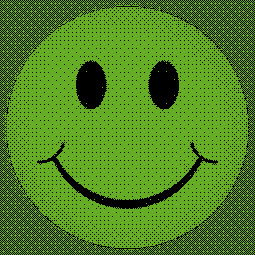 Listen to the Homebrew Computer Club and Beyond. 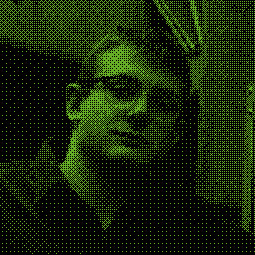 “Allan Lundell is my partner in crime and co-conspiritor in the creation of the DigiBarn Computer Museum. It has been a pleasure to know Allan since 1994 and to have worked with him on many projects. Allan’s network of friends in the computer and new media fields is so vast that it would take a big database project just to categorize them all. 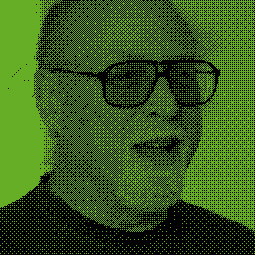 In the next few months, Allan will begin to upload some of his consciousness from the computing history field, including many seminal and historical articles written by him since 1980 when he was the first west coast editor of Byte Magazine.” Bruce Damer, DigiBarn Curator. Allan, often known as Dr. Future, entertains all positive possibilities for the future. Tuesdays at 2 pm until 4pm on KSCO 1080 AM radio in Santa Cruz and Monterey. With Sun Lundell (MrsFuture) and an envelope of well placed agents to comment on our shared future. Listen to the Digibarn | Noisebridge | TV B-Gone Panel. 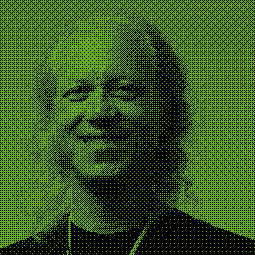 Mitch Altman is much more than a hardware hacker who knows a great deal about TV remotes. That doesn’t stop him from turning off every TV on the planet in his general area. He’s crafty and kind. 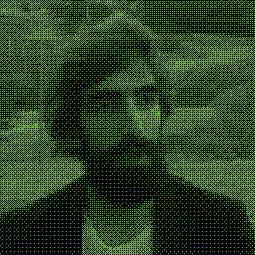 Mitch is a San Francisco-based hacker and inventor, best known for inventing TV-B-Gone remote controls, a keychain that turns off TVs in public places, he was also co-founder of 3ware (a SillyValley RAID controller company), did pioneering work in Virtual Reality at VPL Research, invented the NeuroDreamer sleep mask, and created the Brain Machine, one of MAKE Magazine’s more popular DIY projects. He has contributed to MAKE Magazine, has written for 2600, and Makery, and wrote a chapter from the popular book, Maker Pro. 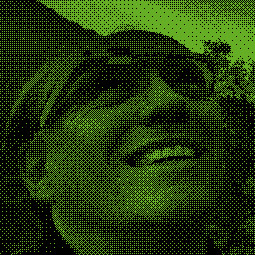 For the last several years Mitch has been leading workshops around the world, teaching people to make cool things with microcontrollers and teaching everyone to solder. 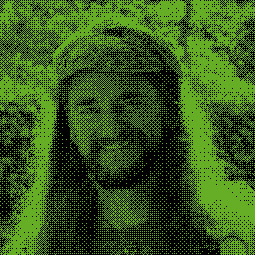 He is also co-founder of Noisebridge, and President and CEO of Cornfield Electronics. The DigiBarn Computer Museum, or simply DigiBarn, is a computer history museum in Boulder Creek, California, United States. It was co-founded by Bruce Damer and Allan Lundell on May 7, 2001. The museum is housed in a 90-year-old barn constructed from old-growth Redwood in the Santa Cruz Mountains, which is adjacent to Silicon Valley. The primary focus of the museum’s collection is on the birth and evolution of personal, interactive computing, starting with the LINC (1962), considered by some to be the first true personal computer, and leading on up through the homebrew microcomputer revolution of the 1970s, the propagation of personal computing to homes and businesses in the 1980s and the spread of networked computing in the 1990s. The Digibarn does have a few large machines on display such as a Cray-1 supercomputer. The Digibarn collection has mainly been donated by individuals and companies in nearby Silicon Valley and around the world. “He’s just this guy, you know?” – When people ask The Cheshire Catalyst, “What’s your real name?”, he tells them “Richard Cheshire”. Many people walk away at that point happy to know “The Secret”. Cheshire is the “Public Person” in the Hacker World. “Ozzie” is the private person who was vice president of his local Ham Radio club, worked a couple of jobs to make ends meet, and is generally (though he hates to admit it) a pretty nice guy. When he saw that the number “321” was “Available For Geographic Relief”, Ozzie immediately realized that this was the Area Code for the Countdown Capitol of the World, and prepared his testimony before a hearing of the Florida Public Service Commission. He had searched the database of the NANPA for all the available area codes, and he recommended that we implement the “321” area code to signify the countdown, fitting for Brevard County, where the Kennedy Space Center is located and commonly known as “the Space Coast”. Edwards AFB astronaut training school early analog devices Stanford University Artificial Intelligence L.O.T.S. (Low Overhead Timesharing System) Heuristic Programming Project DENDRAL Expert Systems Homebrew Computer Club ARPANET hacking march 1977 SUMEX-AIM MOLGEN recombinant DNA requencing algorithms SRI International Artificial Intelligence Center visual AI XEROX-PARC MIT Artificial Intelligence Laboratory launch GNU Project LISP Machines launch Free Software Foundation “hacker not cracker” #68 on the very first WHOIS list Stanford U (again) 1991 BS Symbolic Systems “Brain-Style Computation” connectionism, parallel distributed programming “neural network synergies” “EthicalAI” Open Source became anonymous in 1990’s, changed name, and disappeared …………………………………….…. until “discovered/outed” by Captain Crunch December 2011.
and First Software Pirates | ARPANET Hacking Panel. 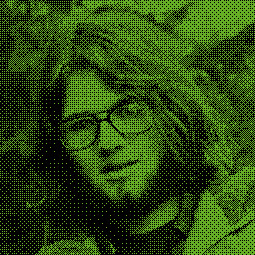 Dan was one of the early members of the Homebrew Computer Club. He was at the very first meeting in Gorden French’s garage. 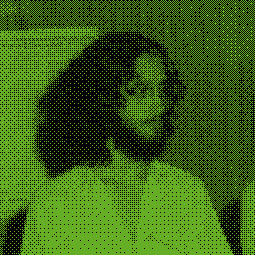 Dan is the worlds first software pirate – he distributed copies of MITS Basic on paper tape at Homebrew Computer Club in 1975.
and Homebrew Computer Club and Beyond.